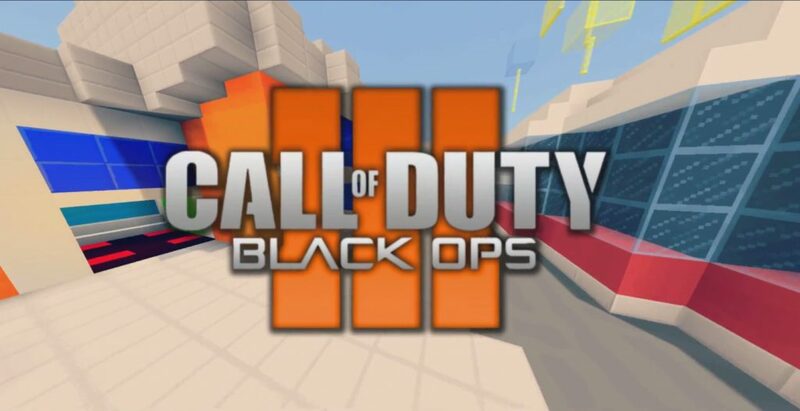 FS NUK3TOWN is a mini remake of the multiplayer COD map: Black Ops 3 NUK3Town in Minecraft PE. 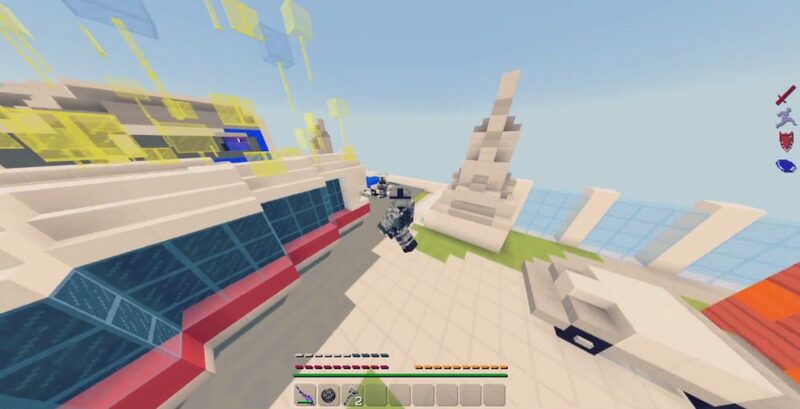 This area includes functions such as a lobby that serves as the main menu, a black market store, custom classes and an automatic matching system that is activated at the touch of a button. The FS NUK3TOWN map for MCPE is designed for any number of players! In general, we invite you to invite all your friends around the world Minecraft Pocket Edition and have a good time in this area! As soon as at least two players come to this map, there will be a button that will launch the game in Minecraft PE. After that, the countdown will begin from 10 seconds, after which you will receive a sniper rifle and 2 throws of battle axes. (If you want to unlock melee combat, you can buy it on the black market). 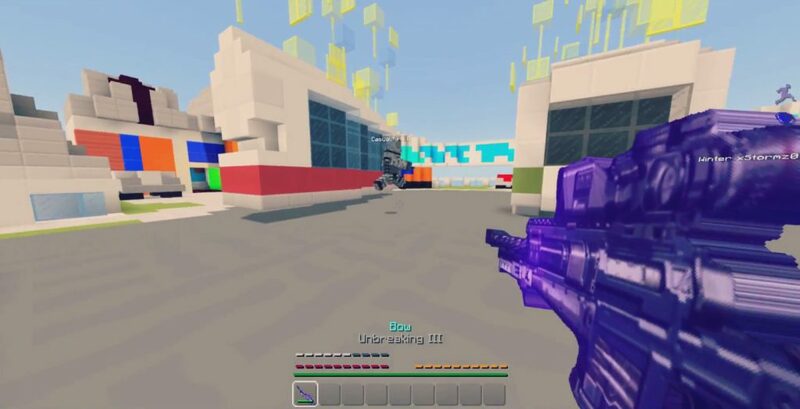 In the course of the entire gaming process in the MCPE after the death of each player, a notification will be displayed. And as soon as one player remains, the winning screen will be displayed along with his name. This map has been tested several times to make sure that everything works correctly. We wish you a successful gameplay!